Born in West Africa, JohnJay spent the first years of life in Accra, Ghana. His family eventually moved to London, England in Fulham. Later, the family moved to South East London, settling in Thamesmead, where JohnJay excelled in sports, school and in the community. A natural athlete with abilities in track and field, and martial arts, it was no surprise to many he pursued sports studies in college. Johnjay Prides himself in being a health fanatic , running approximately 40 miles a week, and competing in various races from 5k`s to Marathons. It was while working as a personal trainer that he was discovered as a male model. This awarded him huge campaigns across Europe, Africa and Asia for several campaigns, Oakland Men’s Clothing in London, Spec Saver sunglasses, Debenhams London, Soda Jeans in Taiwan, Magic shaving Powder for men in Paris, Health first nationwide Condom campaign in London and a total of 5 express Book Covers to name a few. His introduction to film would come naturally. While playing lead roles on various TV commercials he was introduced to a community dance and theater performance group in Forrest hill London where he honed in on his Acting abilities and dedication towards learning the Art of method acting. 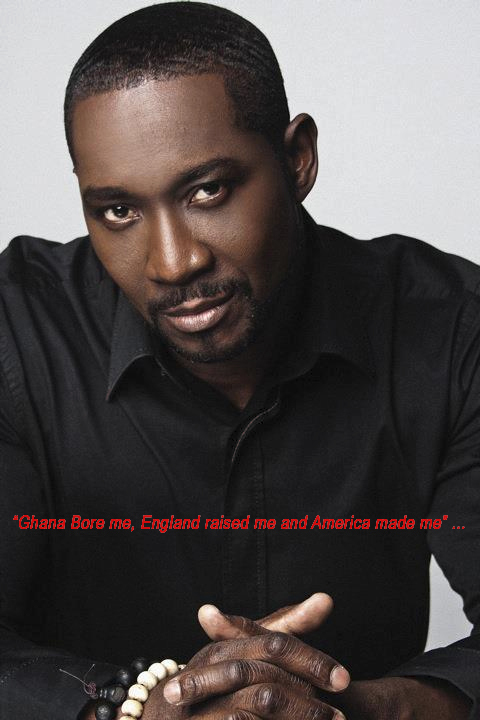 After primariliy receiving extra roles on British soaps, such as Eastenders, in 2005 Johnjay made a move across the Atlantic to The United States and settled in Atlanta GA. With its progressively growing film industry, Atlanta is where he refreshed his training at the Alliance Theater and landed his first major role as Anthony Jacobs in an independent film, by Stephen Oakey and Pond studio, titled Grey Hound therapy. A film about an artist from New York who becomes homeless and ends up on the streets of Atlanta, as johnjay would put it “this role was very emotional… it took me to places I didn`t want to visit. It opened the flood gates to a plethora of emotions I had to confront, and has changed any previous perceptions of the homeless. The movie is set to be viewed at film festivals 2012 in Italy , Canada and Sundance , It is Due to be released in Fall 2012 He has also been cast in a film by Independent film Company Stockholm Pictures in Pulse Of The Indigo as the charismatic Detective Marshall, The film is an all action pack thriller with lots of twist, also set to preview at the Sundance film festivals 2012 which will be released 2012. Along with these films we look forward to seeing Johnjay in various feature films in years to come. Professional Web Design by Websites Depot.